Summer is right around the corner and we are SO EXCITED to announce a special project we've been working on! 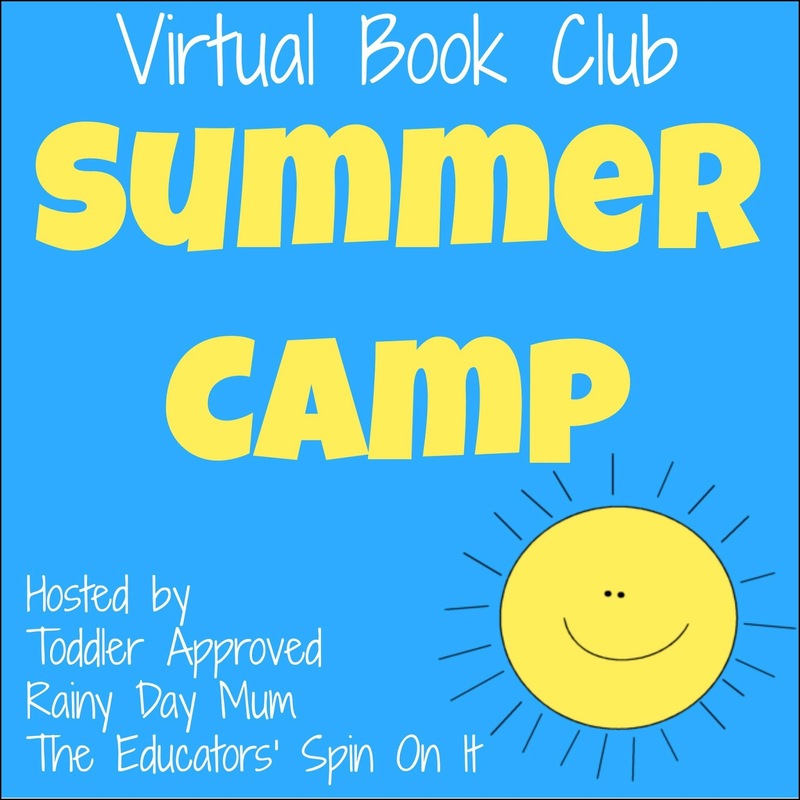 This summer we will be joining with Rainy Day Mum and The Educators' Spin On It to host a Virtual Book Club Summer Camp! Virtual Book Club Summer Camp is going to be five incredible weeks filled with book-related themed activities and crafts. Each week we'll share with you the theme for the week, a supply list, book suggestions based on the theme, loads of links to fun activities and crafts you can try, and several posts sharing new content created just for Virtual Book Club Summer Camp by your Virtual Book Club Camp Counselors (me, Cerys, and Kim)! Encourage you to get creating and reading with your kids this summer! Virtual Book Club Summer Camp will start on Monday, June 24th and end on Friday, July 26th. Don't miss out on any info or updates. 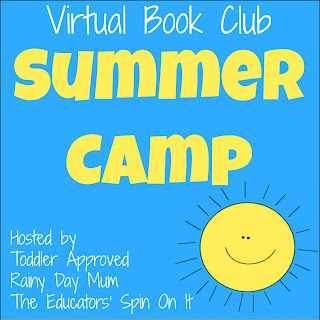 You can sign up below to receive our Virtual Book Club Summer Camp News & Weekly Planner. More details will be coming soon! I hope you will be joining in! Leave a note in the comments if you'll be participating with us this summer! Are you familiar with the Virtual Book Club for Kids? If not, you can check out our Yearlong Virtual Book Club for Kids series and get caught up. 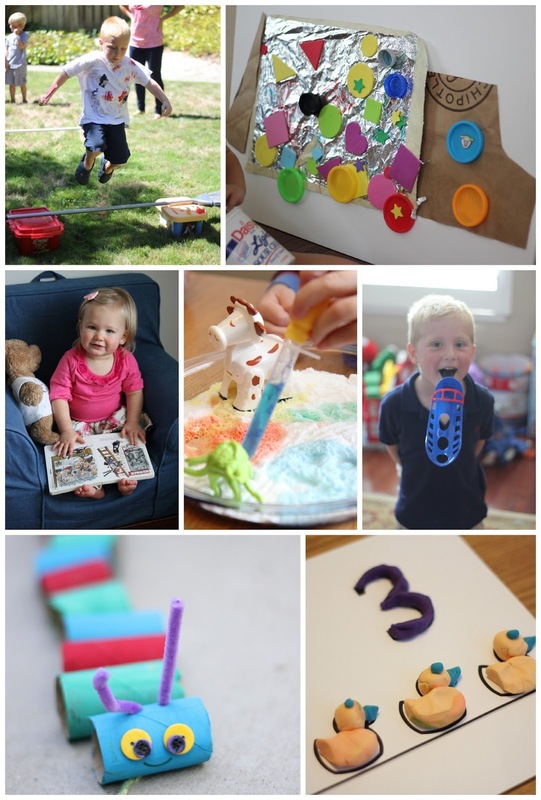 All year we've spotlighted a new author each month and we've done book-related crafts and activities. It has been so much fun! In May we are featuring books by Leo Lionni. *Brands may contact us regarding sponsorship opportunities at toddlerapproved (at) gmail (dot) com. Thank you My Cute Graphics for the use of the sun image above. We will be following along too! I love the idea! Plus, being pregnant with twins I need to slow down and enjoy my daughter before life gets crazy and this is the perfect way! Sounds great! I can't wait. I'm so excited about this, I'm a media specialist at an elementary school and this is right up my alley! I can't wait for the Virtual Book Club Summer Camp to begin, the kids are going to LOVE it! Looking forward to being a Camp Counselor with you Kristina and also Cerys! This is going to be really fun! Looking forward for the summer camp! Yeap love to be part of this! Can't wait to do this with my almost three year old!! Very fun! This is such a wonderful idea! We are definitely in! Excellent! Glad you are joining us! We are exited to participate in such an organized program. So excited to have you participating! Awesome! So glad you are joining in Natalie! Excited about this. We are going to following along as well. Can't Wait!!! Tried to sign up via the subscribe link but it is a broken link. I am so excited to try this with my 3 year old! He loves books. It's not letting me register right now, but I'll keep coming back to try and get signed up. Thanks for putting this together!